Chlorophyll is just similar to hemoglobin except for the central atom which is iron in hemoglobin while magnesium in chlorophyll. As blood is approximately 75% hemoglobin so when chlorophyll is ingested it is believed that it will perform the same function as hemoglobin. Being the most effective chelate it has a powerful ability to bind and remove toxic agents like mercury and acts as a most extensive healer. 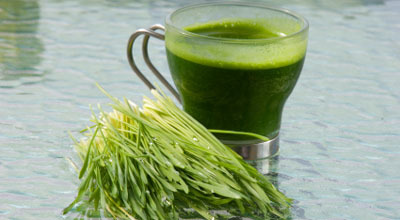 Chlorophyll is strong anti-inflammatory and antioxidant. It helps to reduce inflammation and contains vitamins A, C and E.
Chlorophyll is highly anti carcinogenic. It protects against carcinogens that are found in fungus laden foods. These can be from toxins that come from cooked meals and pollution. Antiseptic properties of chlorophyll have defined its ability to help destroy germs, increases the resistance against diseases by preventing the growth of bacteria. Chlorophyll is enriched in vitamin K, C, Folic acid, protein, calcium and iron, which are necessary for boosting our immune system and repairing RBCs. It’s a marvelous deodorizer for mouth and throat. Furthermore, it provides a healthy digestive tract. Regular intake of chlorophyll has proven to be beneficial for smokers. Green drinks can be easily assimilated by our body and a very dense source of enriched alkalis. Eat a lot of green food such as green veggies, salads including broccoli, lettuce, spinach, peas, beans, capsicum and any food that is green.